Honda is considered among one of the top-notch automobile manufacturers across the globe. Many people prefer to buy Honda cars due to their extravagant body design and interior luxuries which they offer to their valued consumers at a competitive price. Honda Pakistan has never disappointed its consumers by introducing state of the art automobiles, which are fully equipped with innovative features and specs. 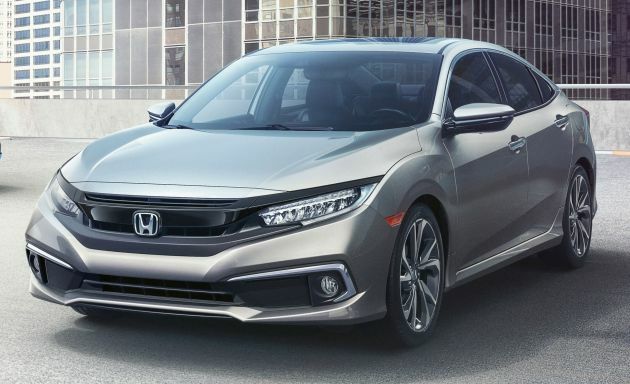 Here in this blog, I will be discussing the top 5 Honda cars which the user can buy in 2019 to feel the true taste of riding an automobile which is fully equipped with all the luxuries which any person would love to have in a luxurious car. Honda City 2019 price in Pakistan is not officially confirmed by Honda Pakistan for its consumers in this region. Though, there are expectations regarding the new Honda City price that it will start from Rs.17,30,000 to Rs.20,80,000 depending on the variant you prefer to buy for yourself. It is going to be a front engine front wheel drive subcompact design sedan which is going to be equipped with innovative features and specs. Honda City 2019 is expected to be featuring an innovative and distinctive facelift design language like any other sedan in the country. The front end of this subcompact size sedan will be featuring a pair of sleek narrow trapezium styled side swept headlights, dual air intakes and an angular grille with the company logo in between. At the rear, you will get to see a pair of trapezium styled side swept taillights, massive rear bumper and a chrome piece running the length of the trunk lid. The overall exterior of the new Honda City is going to help it stand tall among other sedans available in the industry. 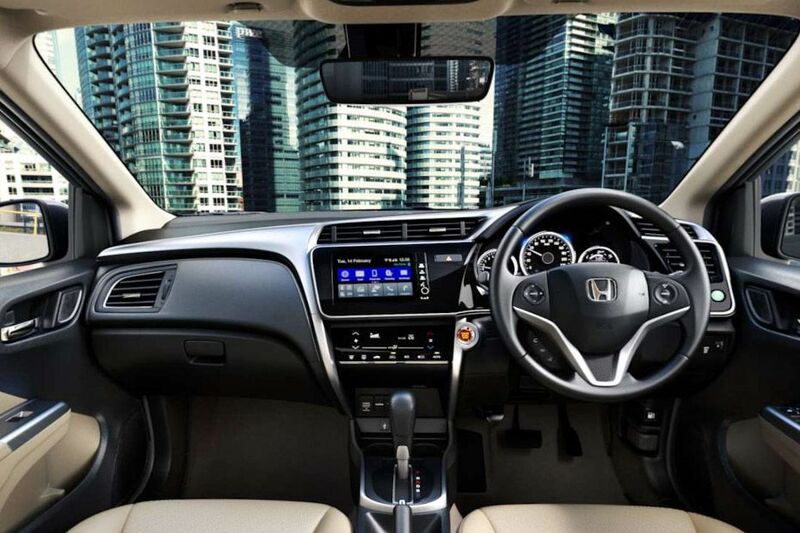 The interior of 2019 Honda City is expected to feature beige color plastic trim pieces, which were black and silver in its previous model. The rear and front seats of this upcoming model will be covered with a high-quality fabric material. The standard interior features which are going to be seen in this sedan include power window, air conditioning, power door locks, power steering, trip computer, tachometer, and 2-speaker stereo audio system. The interior features which are going to be seen in the high-end Aspire variants include alloy wheels, navigation system and a pair of fog lights. The optional interior features include a 4-speaker stereo audio system and leather upholstery. The overall interior is spacious and has the capability to offer a great level of comfort. The upcoming Honda City is going to be available in two engine options which include 1.3 liters SOHC 16 Valve inline-4 iVTEC engine and 1.5 liters SOHC inline 4 16 Valve i-VTEC engine. Both the engines have almost the same fuel economy which is 18kmpl on highway and 12-16kmpl in city limits. Honda Civic 2019 price in Pakistan is yet to be confirmed by the Honda officials, but as per the rumors in the automotive industry regarding this upcoming Honda Civic price is that it will start from Rs.25,99,000 to Rs.27,49,000 which is expected to be competitive as compared to other brand sedans with similar engine specs and features. Honda Civic 2019 is going to be a front engine front wheel drive subcompact design sedan manufactured by Honda Pakistan. It is going to feature an aggressive and appealing design language. The front end of this upcoming new Civic will be featuring a pair of sleek HIDs with integrated LED daytime running lights, triple air intakes and a trapezium grille integrated into the design of the headlights with chrome accents. At the rear of this sedan, you get to see aggressively designed angular C-shaped side swept taillights and a standard tailgate. The interior of the upcoming Honda Civic is expected to be featuring black and silver polished trim pieces. The rear and front seat trims are available in a combination of ivory, grey, and black fabric material. The standard interior features include automatic climate control, 4-speaker 160-watt stereo audio system, traction control, 5.0-inch multi-information display, power door mirrors, keyless entry, push-button start, and electronic stability control. The optional interior features include satellite navigation, cruise control, and leather seats. The upcoming Honda Civic 10th Generation is going to be available in two engine options which include 1.5-liter DOHC 16 Valve Earth Dream Technology and 1.8-liter SOHC 16 Valve engine respectively. The 1.5-liter engine has the capability to give a fuel economy of 12-14kmpl, while the 1.8 liter has the capability to do 10-12kmpl. Honda BR-V 2019 price in Pakistan is not officially confirmed till date by the Honda officials for its consumers living in this region. However, there are fan-made expectations in the automotive industry regarding the upcoming Honda BR-V price is that it will start from Rs.21,34,000 to Rs.23,84,000 depending on the variant you prefer to buy of this 7-seater SUV by Honda Pakistan. Honda BR-V 2019 is expected to feature a solid motion exterior design, which will help it rank on top of all other brands SUVs available in the industry. The front grills and headlights are designed by Honda manufacturers in a way that it gives a sporty look. The front end of this SUV by Honda features sporty grille which is nestled between the sleek design projection headlamps. At the rear, you get to see a chrome bar running across the center giving it an aggressive and appealing look. The overall exterior of the upcoming BRV features a subcompact SUV design language like any other known brand SUV available in the industry. Honda BR-V 2019 interior will be featuring a 7-seater layer which will be arranged among three rows. The interior of this compact size SUV features Sand Beige Leather. The standard interior features available in this SUV include driver side airbag, infotainment system, a navigation system, driver side height adjustable lever, second-row reclining seats, digital climate control, rear view camera, retractable side mirrors with indicator lamps and rear ac vents. 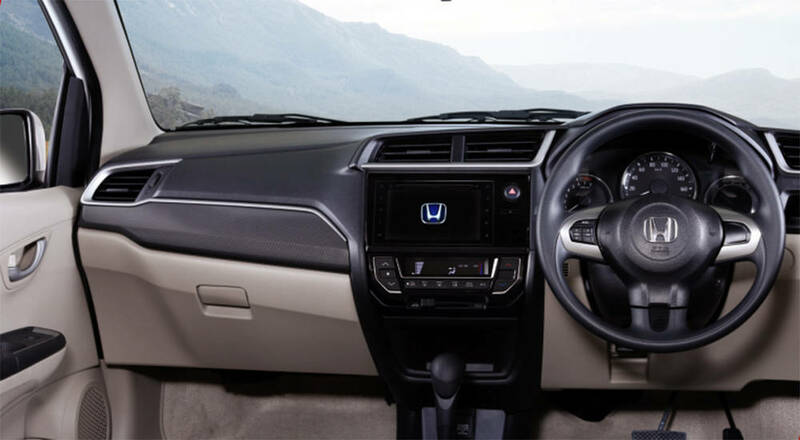 The overall interior of the upcoming BR-V is going to be spacious and practically luxurious in every manner. Honda BR-V 2019 is going to be available in a single engine option which is 1.5 liters 16 Valve SOHC i-VTEC petrol engine. This engine will allow this SUV to give a fuel economy of 10-12kmpl respectively. Honda HRV 2019 price in Pakistan is yet to be officially confirmed by the officials, but as per the rumors made by the Honda fans in the industry regarding Honda HRV price is that it will be around Rs.41,99,000 respectively. Honda HRV is the international variant of the well-known Honda Vezel, which is a compact size crossover SUV without Hybrid technology. 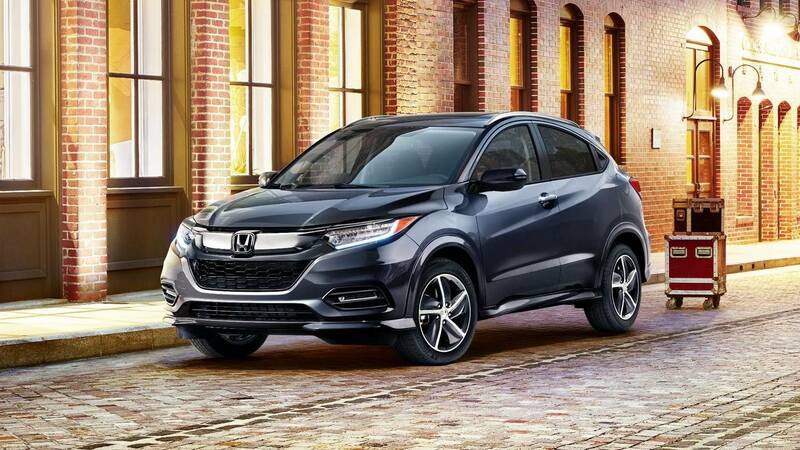 Honda HRV 2019 exterior features an overall aggressive design language, which is surely going to be loved by the young generation in the country. The front end of this SUV is a bit different as compared to its international model Vezel. At the front, you get to see a pair of halogen headlights and a new grille with center chrome bar with company Honda logo. The front headlights go all the way back to the middle of the front side fenders. At the rear, you get to see halogen taillamps and standard design tailgate. The interior of the upcoming Honda HRV is going to be well-equipped like any other brand high-end car rather than an SUV. The instrument panel for the driver will be coming with a color-coded dial and with an overall 3D look. The center console will be featuring a touch-sensitive climate control unit. It will be coming with a touchscreen Honda infotainment system. The standard interior features which the user will see in this SUV include multifunction steering wheel, power side doors, keyless engine start, traction control, rear view camera, electric power steering, and power seats. Honda HRV 2019 is going to be powered with a 1.5 liter DOHC i-VTEC inline-4 engine which is mated to CVT transmission. This powerful engine has the capability to give a fuel economy of 10-12kmpl respectively. Honda Accord 2019 price in Pakistan is still a hidden mystery by the Honda officials. Though, there are rumors in the automotive industry regarding Honda Accord price is that it will be around Rs.12,250,000. 2019 Honda Accord is going to be a front engine front wheel drive luxury sedan by Honda Pakistan. This luxury sedan by Honda will be featuring a luxurious and refined exterior design language as compared to its previous 8th Generation Honda Accord design. The front end of this luxury sedan will be featuring sleek narrow trapezium side swept headlights with LED daytime running lights, rectangular style fog lights and a trapezium grille with triple chrome accents. At the rear, you get to see sleek side-swept LED taillights, sports exhaust outlet and a chrome trim piece running the length of the trunk. 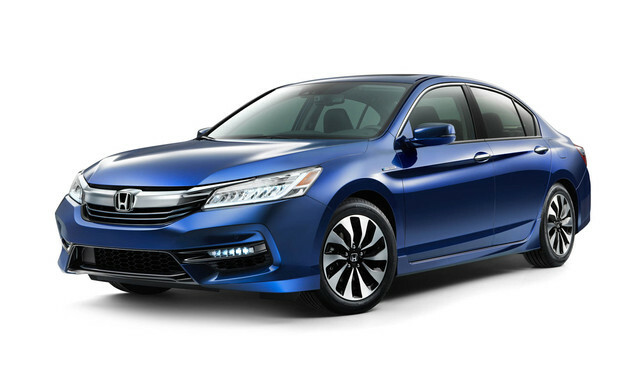 The overall exterior of this upcoming luxury sedan by Honda features an innovative and appealing design language. Honda Accord 2019 interior will be featuring dark wood trim paneling. The rear and front seats will be covered with high-quality leather. The standard interior features which will be available in this upcoming luxury sedan include a sunroof, keyless entry, rain-sensing windscreen wipers, multi-function steering wheel, power fold-in mirrors, engine immobilizer, blind spot monitoring, lane watch, cruise control, vehicle stability control, parking sensors, 8-way power driver seat with memory function. 8 airbags, foot operated park brake and 6-speakers and woofer. The overall interior of this sedan offers a spacious interior with an ample amount of entertainment and comfort level. Honda Accord 2019 will be available in single engine option which includes 2.4 DOHC inline 4 16 Valve i-VTEC petrol engine. The engine is mated to 5-speed automatic transmission. It has the capability to give a fuel economy of 10kmpl.